Secure land and tenure rights are important framework conditions for more sustainable development efforts of African partner countries. Yet, they are often addressed insufficiently in technical cooperation. 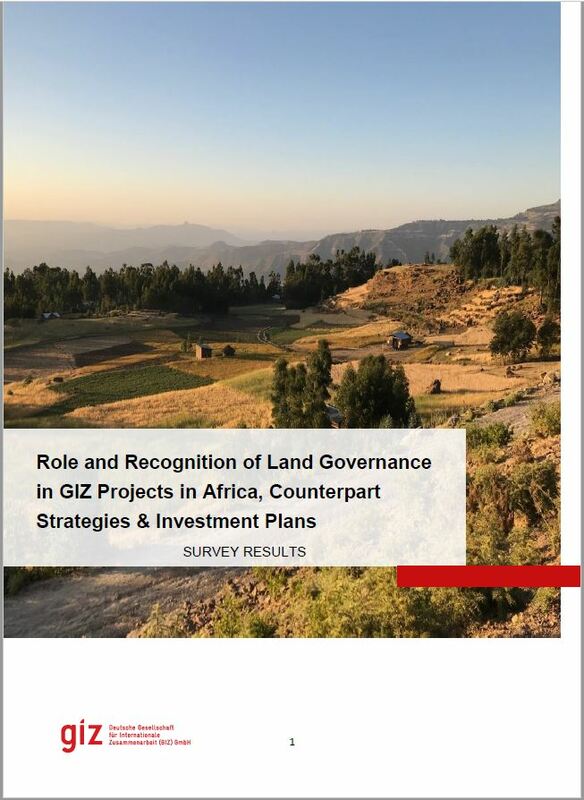 To get an idea of the extent to which land-related development in GIZ-implemented projects in Africa is affected, the global projects Strengthening Capacities on Land Governance in Africa (SLGA) and Responsible Land Policy as well as the SNRD Africa working group Policy Processes in Agricultural and Rural Development (PPARD) conducted a stocktaking survey of the current recognition and relevance of land rights and land governance in programs implemented by GIZ in Africa.